It lures us with its siren song when we should be doing other things: During our midday work slump, when the laundry needs foldin’, or while having dinner with friends (put your phone down, peeps!). But, sometimes it can be an incredibly helpful (and free!) resource when searching for support and guidance for our best plant-powered, compassionate lives. Because we heart the internet and spend a lot of time on it, we’ve compiled some of our favorite (and there are many, so this isn’t exhaustive and we don’t mean to leave out anyone – we love you all!) 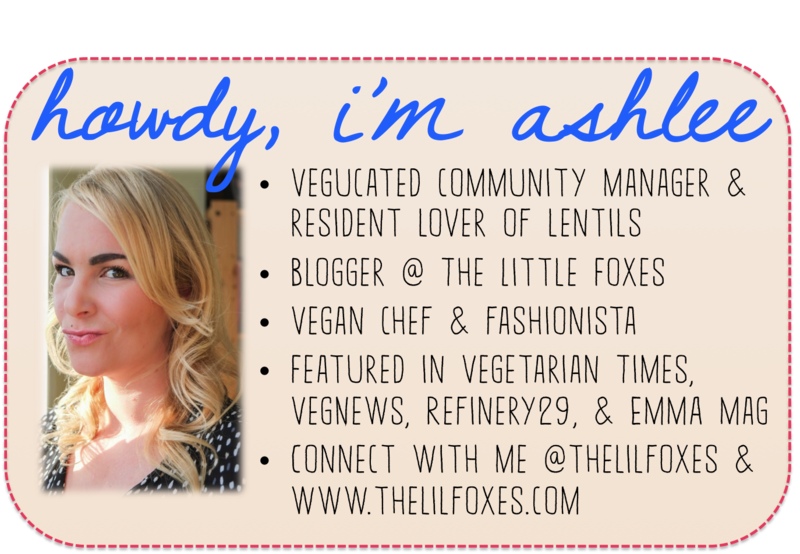 blogs to get you eating, dressing, parenting, beautifying, and getting active the vegan way. Healthy Eating: We love eating healthfully and these sites are packed with nourishing, delicious recipes. Decadent Dining: Want to wow the nay-sayers with truly lavish meals that are every bit as sumptuous as their meat-and-dairy-laden counterparts? Does the idea of whipping up a 5-course gourmet feast excite you? Do you gravitate to the exotic and unique? Then these sites are for you! Special Situation and Allergen-Friendly Eats: So, your sister is Celiac, your partner is soy-free, your mom’s doing Weight Watchers, and you’ve quit sugar? Luckily, there are blogs for all of those! Raw Foods & Juicing: More inclined to reach for the dehydrator or juicer than the stove? Then these raw food, smoothie, and juicing sites will really get your creativity flowing. Parenting Support: Raising littles is challenging enough, and navigating societal stigmas and judgement around plant-powered kids and parents calls for some extra support. We love these nurturing, accepting sites that offer fantastic advice on raising healthy, happy eco- and animal-friendly small people, whilst also maintaining your sanity. Plant-Powered Meals: “Are we there yet?” “Where do babies come from?” Some questions children throw at us are complicated. Thanks to these ingenious sites with kid-friendly recipes, answering “What’s for dinner?” is not. Beauty Without the Bunnies: Looking to overhaul your beauty regimen with cruelty-free finds? These sites will help show you how (and make the process really, really fun). Fashionably Kind: Want to makeover your closet with environmentally-friendly, animal-loving apparel and accessories? These sites bring all of the guidance and inspiration you need. For the Gents: Consider these sites the Mr. Bates to your Downton Abbey of vegan menswear. Getting and Staying Active: Serious athlete or do you just want to lose weight, get healthier, or just become more active? These sites have recipes, activities, and plenty of inspiration to keep you motivated and help you get started. Did we miss your favorite blog? We’d love to hear your favorites!